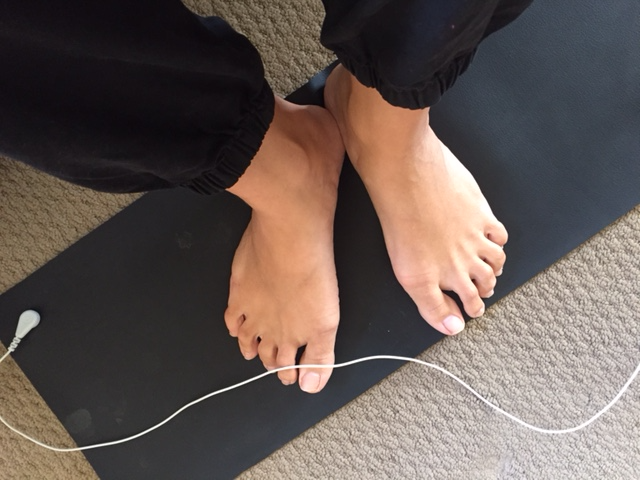 Earthing – get your bare feet onto the Earth! Have you ever given a thought as to why our homes and electrical appliances are ‘earthed’? It helps to prevent static, leaving our homes with ‘balanced’ or ‘clean’ electricity. Essentially, the Earth acts as a ‘sink’, with the ability to absorb and drain away any unwanted buildup of electrical charge. Think about yourself now. You are also an electrical being. You have countless electronic signals being passed around your body at every second of life. So perhaps being earthed, is something that can prevent ‘static’ in our body too? Earthing, or ‘grounding’ as it’s often referred to, is an ancient system of knowledge, thats being well and truly rediscovered, and made available to our modern day Earth-starved selves. Traditional cultures revered the ground beneath our feet as sacred, believing it connected them to ancestors. Anecdotes suggest that it was possibly used as a form of health care to bury their people in when ill health took hold, and at times of ceremony. The reason for this? The Earth carries a negative charge. For us today, this means that it may be a wonderful aid for helping to alleviate many of our modern day ails. Earthing products have been designed as a way to ensure that our modern day lives can benefit from Earthing, no matter where we find ourselves. Of course getting your bare skinned self directly onto the Earth is optimal, but for the times that you cant do so, Earthing products can help. They allow you to be earthed wherever you are, whether you’re flying, sitting in the office or even lying in bed! You simply plug these products into an electrical socket (one that is earthed of course!) and ensure that your bare skin contacts the rug / mat etc. We have started using these at home – in fact typing this blog, I’ve got my feet upon a mat right now! Sporting teams, including the USA Tour de France team, have even used Earthing to aid recovery after a days cycling, reporting better sleep and dramatic recovery times amongst other benefits. ← Free Community Events coming up at Saltuary!